These are books 2 and 3 of M.C.A. 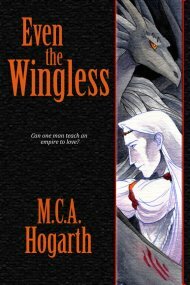 Hogarth’s Her Instruments space opera trilogy. 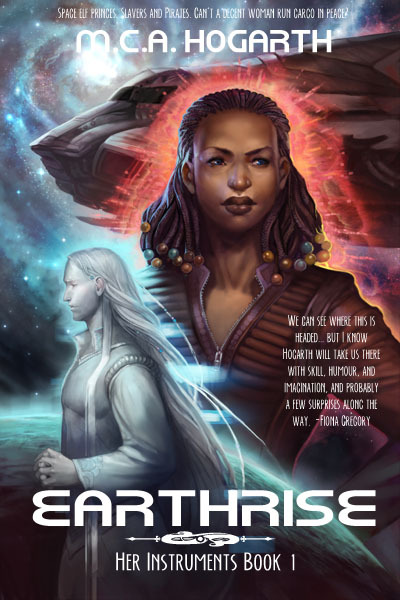 Earthrise, book 1, was reviewed in Flayrah in June 2013. 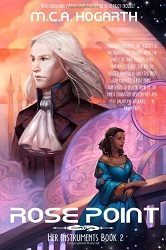 The fact that Maggie Hogarth commissioned professional s-f cover artist Julie Dillon to paint the covers of this trilogy instead of doing their covers herself, as she usually does for her books, shows that Hogarth considers them especially good (or at least especially salable). And you know how good her fiction usually is. Rose Point, by M. C. A. Hogarth, Tampa, FL, Studio MCAH, October 2013, trade paperback $16.99 (349 [+1] pages), Kindle $5.99. 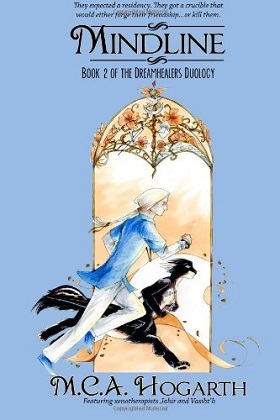 Laisrathera, by M. C. A. Hogarth, Tampa, FL, Studio MCAH, May 2014, trade paperback $16.99 (402 pages), Kindle $5.99. If you want to say that I have a conflict of interest reviewing this collection as I wrote the afterword to it, go ahead. I have been a fan of M.C.A. Hogarth’s “Pelted Alliance” furry science fiction stories since I discovered them in YARF! 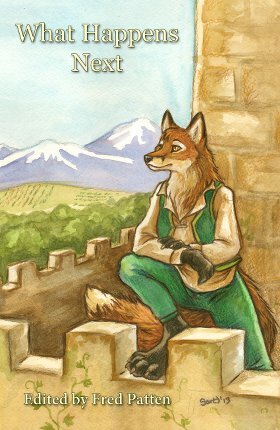 and other furry fanzines in the late 1990s and early 2000s. I included one, “Rosettes and Ribbons” from Yarf! 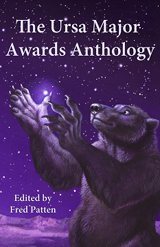 #58, January 2000, in Best in Show, the first anthology of furry fiction. 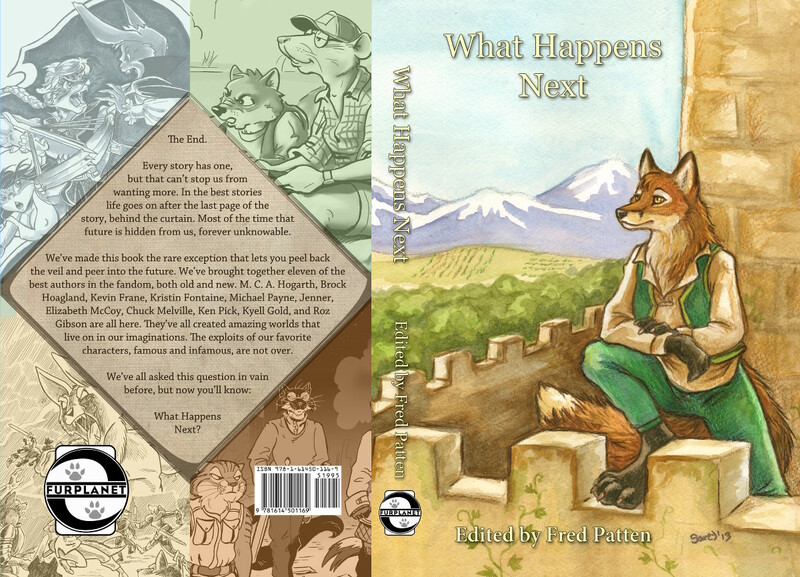 I was glad to see this first collection of Pelted short fiction, along with six illustrations by the author, in an e-book in December 2011, and I felt honored to be asked to write this afterword, for this new trade paperback edition in June 2013. 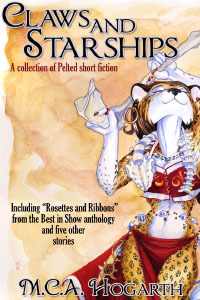 Claws and Starships consists of the novella “A Distant Sun” and the five short stories “Rosettes and Ribbons”, “The Elements of Freedom”, “Tears”, “Pantheon” and “Butterfly”. 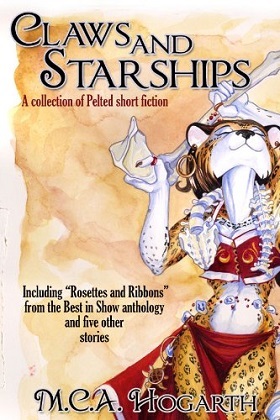 These are the Pelted stories that do not feature Alysha Forrest, Hogarth’s feline-based Karaka’An woman, the main character in the series. The first Alysha Forrest stories were rewritten into Hogarth’s novel Alysha’s Fall (Cornwuff Press, September 2000), and she has starred in most of the Pelted short fiction since then. But there have been these six other stories that show the Pelted universe is more than just Alysha’s adventures. 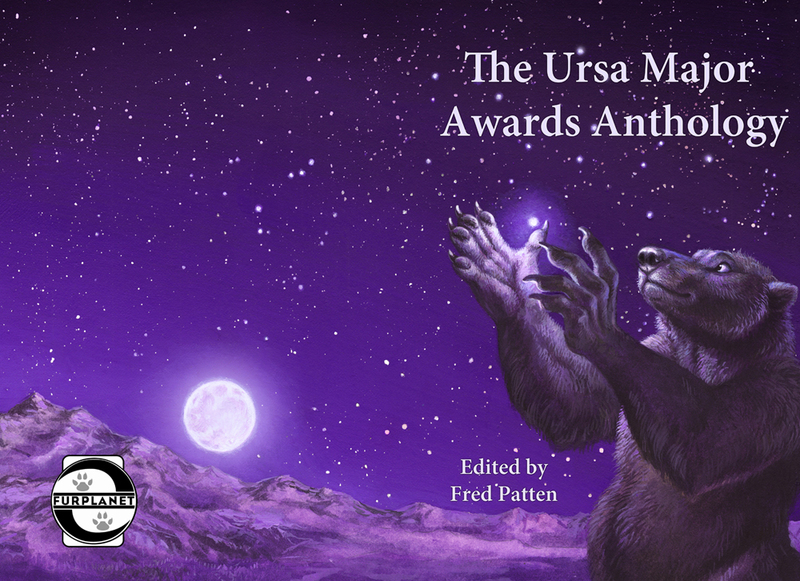 Claws and Starships packages them together neatly for the fans of the Pelted universe, and of really good furry interstellar science fiction. Illustrated by M.C.A. 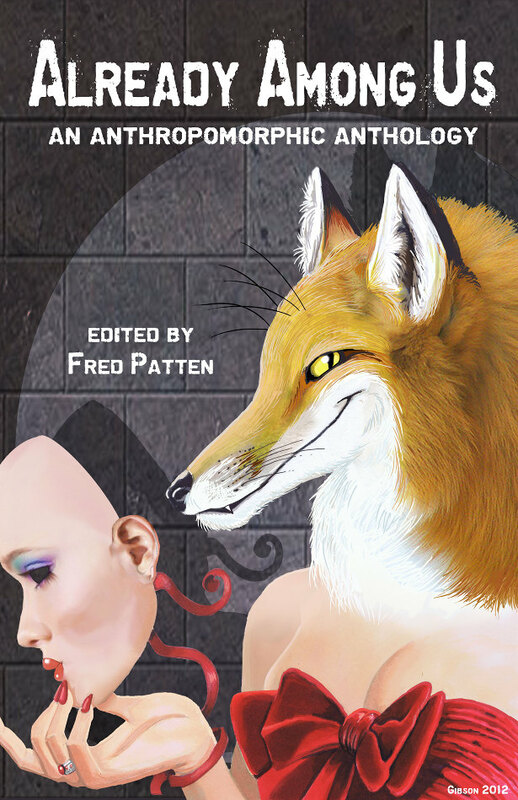 Hogarth, afterword by Fred Patten, Tampa, FL, Studio MCAH, June 2013, trade paperback $12.99 ([2 +] 203 pages), Kindle $3.99. It is unfair to compare Hogarth’s novel set at a university in her Paradox universe with Pixar’s recently-released Monsters University, but the superficial parallels are obvious. Instead of the no-two-are-the-same monsters, there are the seeming-dozens of different species of the Pelted, and some humans, wandering about prestigious Seersana University. 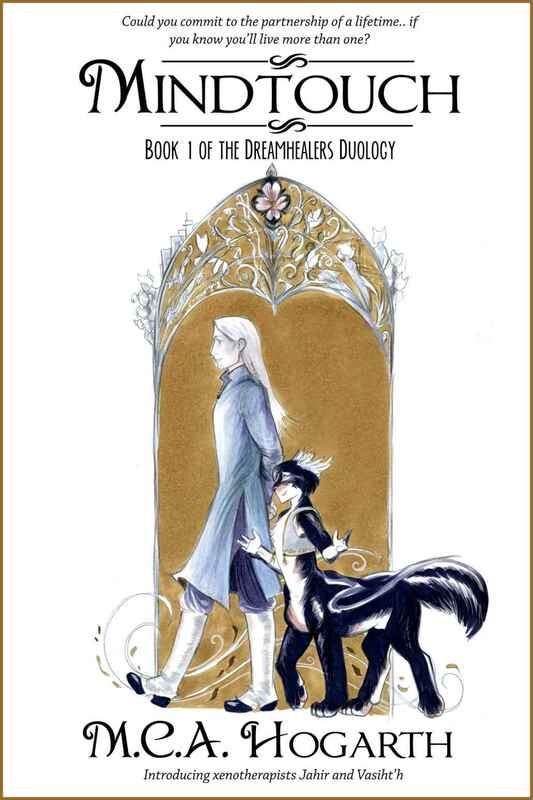 Instead of a big green eyeball and a blue-lavender furry monster as main characters, there are a pale, tall humanoid Eldritch and a short, furry centauroid winged Glaseah. The big difference is that in Monsters University, the cast all look different but are all from the same culture. In Mindtouch, the different species are from different societies. The students may know intellectually that they are in for some “different” experiences at S.U., but it is still a shock when they happen. Studio MCAH, July 2013, trade paperback $16.99 ([3 +] 408 [+ 7] pages), Kindle $5.99. Claws and Starships: A Collection of Pelted Short Fiction by M.C.A. Hogarth is a selection of six short stories that I enjoyed reading just recently. Set in her Paradox universe, the Pelted consist of many races of anthros created by humans in the distant past through bio-engineering. (Read more about them.) Since then, they've grown, diversified, colonized worlds and reconciled with their creators. This particular collection shows a cross-section of several different Pelted cultures, ranging from the technologically advanced to more primitive societies. Maggie Hogarth sent me a review copy of Earthrise (she sends me review copies of all her books; hint! hint!) 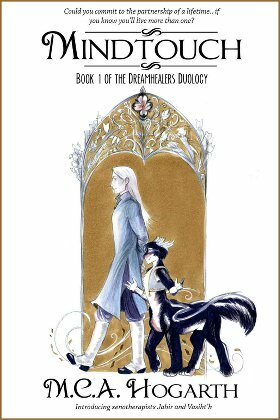 with a note that I might not want to review it for Flayrah since the main characters are a human and a Space Elf Prince, not Furries. 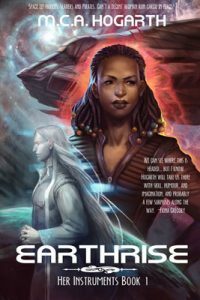 But there are plenty of bioengineered Pelted, and at least one genuine alien, as major supporting characters in this adventure set in her 25th century interstellar civilization. Hogarth has a lot of fans who read Flayrah, and who will not want to miss one of her Pelted Paradox novels. Earthrise is prominently labeled Book 1 of the “Her Instruments” trilogy, so expect it to end with more to come. Rose Point, Book 2, will be published late this year. Tampa, FL, Studio MCAH, April 2013, trade paperback $15.99 (410 pages), Kindle $5.99.